It’s officially here. The largest gathering of the world’s greatest athletes only happens once every four years. The Summer Olympics have come to Rio; sports fans are in for a treat this year as the world’s fastest, strongest and most talented compete to receive the greatest gold medal. Most people are aware that The Olympic Games originated in Ancient Greece. The original champions of the games were not given medals; they were crowned with olive branches. The Ancient Greeks had the ability to fashion gold medals, but they felt that the winners of the games should be awarded with branches from Mt. Olympia. When the modern games began in 1896, the awards for the summer games had not been standardized yet (the winter games didn’t begin until 1924). Winners of those games were given silver medals and an olive branch. The winners of the 1900 games were awarded either trophies or cups depending on the sport that they played. 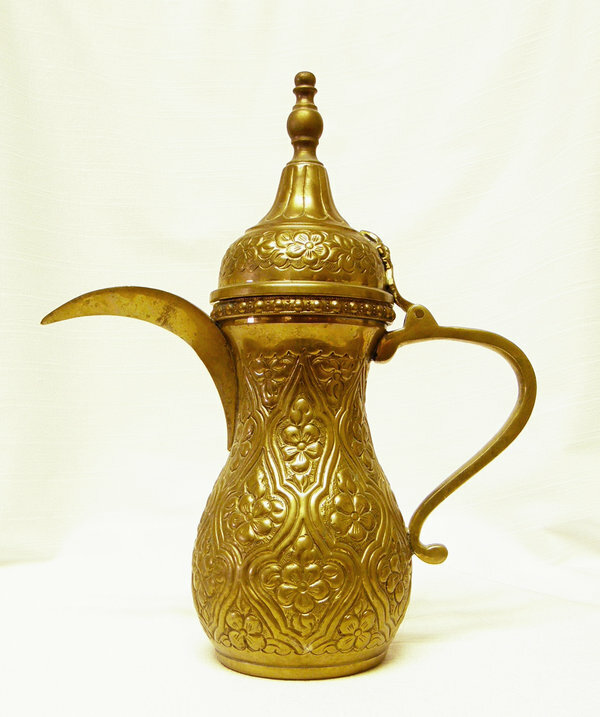 It wasn’t until 1904 that the 1st place winner was given a gold medal. 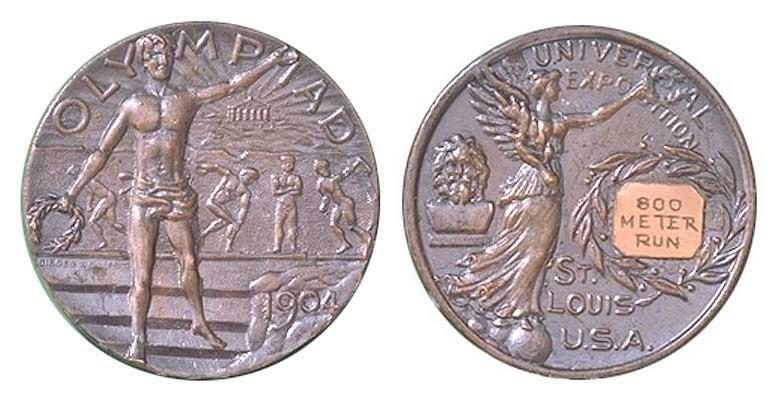 The 1904 Olympic games in St. Louis were the first to see the 1st place winner of each category receive a gold medal, 2nd place receive silver and 3rd place receive bronze. 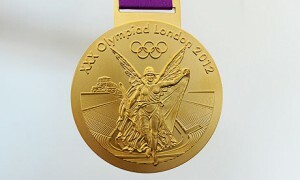 1912 saw the last use of pure gold for the Olympic 1st place medal. Now, the gold medal is comprised of up to 93% silver with a gold coat. It is required of the host country to mine the materials for each of the medals awarded. The designs for the medal have changed almost every four years. The back of the medal is typically adorned with a reference to the host country’s culture, while the front is almost always a recognition of athletes or the Trionfo design. This year, thousands of athletes will compete for their home nations in a competition that is now 120 years old. The glory of the gold medal is second to none in most sports and any athlete in possession is known to be the best of their time. At Spike’s Trophies, we’ll be watching the games and the ceremonies that follow. To celebrate the winners in your life, check out our personalizable plaques and trophies. This entry was posted in Uncategorized on July 27, 2016 by Spike's Trophies. Here at Spike’s Trophies, we celebrate the things that deserve celebrating. We enjoy crafting glass awards in Philadelphia for special events and exceptional achievements. While we think we’re capable of handling nearly any request for a great award, we’ve got to admit, there are several strange awards in the world of sporting events. We thought we’d share a few of them. Any longtime NASCAR fan knows Martinsville. Martinsville, VA used to be known for their great longcase clocks and to celebrate their history, the winner of the race receives a massive one. 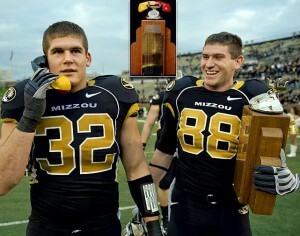 The trophy is fully-functional and is valued at $10,000. 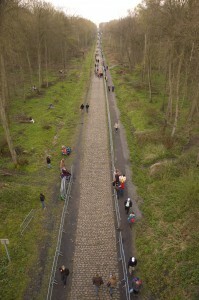 The Paris-Roubaix is a cycling tournament in Northern France. 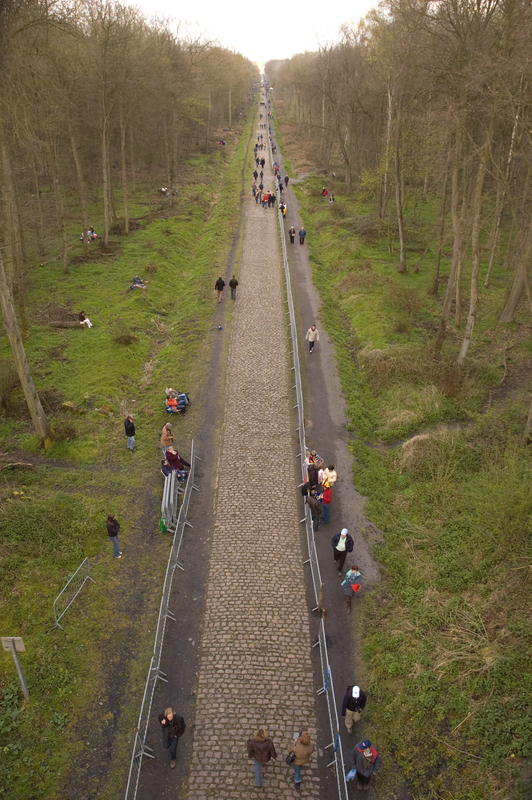 Cyclists from all over the world compete in a race that takes them along the bumpy cobblestone roads of the region. The winner of the tournament is presented with a rock, technically a cobblestone placed on a plinth with the race and year inscribed on it. The Dubai Open is a staple of the European Tour in golf. The Dubai course is beautiful, and so is the trophy the winner receives, but it’s a little large. The Dallah Trophy is nearly three feet tall and depicts a traditional Arabic coffee pot in silver. That seems like one heck of a way to serve coffee. In one of the most famous technical issues in College Football, the 1959 rivalry game between Iowa State and Missouri had a case of crossed lines. The coaches of each respective team could hear the other’s staff in their headsets for the duration of the game. 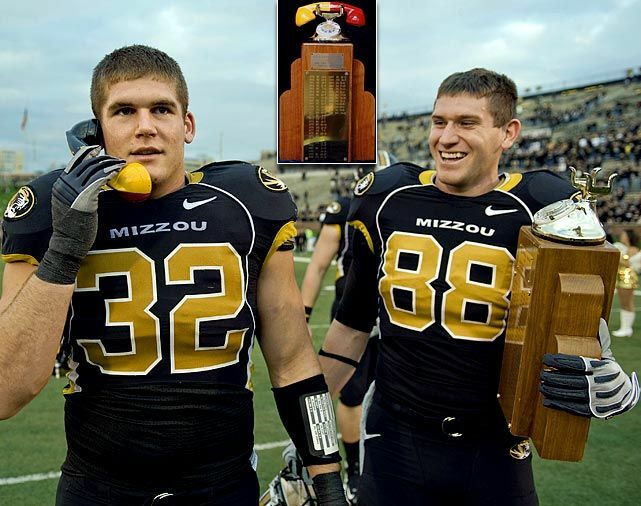 The event has been memorialized in a trophy depicting a telephone that is awarded to the winner of the rivalry game each year. NASCAR is filled with strange trophies. Winners of the Sprint Cup race at New Hampshire Motor Speedway receive a lobster. 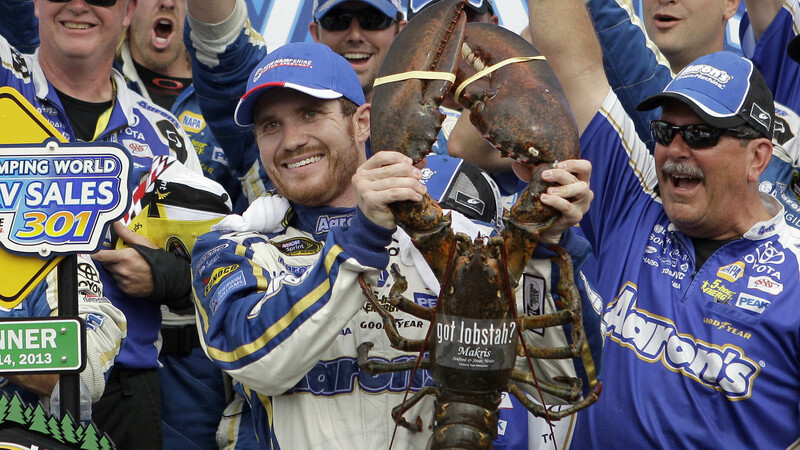 Not a statue of a lobster, not a trophy depicting a lobster, a live rock lobster. After posing with the lobster for a few minutes, the lobster is pressure cooked, the meat shipped to the driver’s shop and the shell of the lobster is repainted and mounted to be displayed. At Spike’s Trophies, we know that there are plenty of ways to celebrate and plenty of different ways to give an award (we don’t recommend handing anyone a live crustacean, though). When you’re looking for that special commemorative gift, award or even a personalized name badge, stop by and see what we have to offer. This entry was posted in Uncategorized on July 8, 2016 by Spike's Trophies.